I had a chance to test two high-performance solutions - Onkyo TX-RZ830 vs Yamaha AVENTAGE RX-A2080. 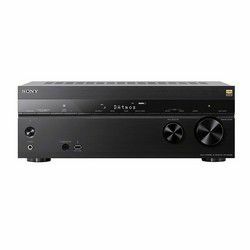 This review should help people who are looking for a great receiver. 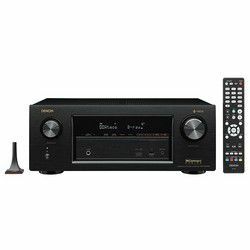 If we compare Yamaha AVENTAGE RX-A2080 vs Onkyo TX-RZ830 in terms of the total power output we get Onkyo TX-RZ830 with 850 W versus Yamaha AVENTAGE RX-A2080 that outputs 1260 W. However, Onkyo TX-RZ830 is THX certified and it is compatible with Sonos, while Yamaha AVENTAGE RX-A2080 supports the Surround AI technology and it has a premier-quality DAC installed. Both manufacturers provide Wi-Fi and Bluetooth modules, so you can stream content from online services. RX-A2080 can work with wireless surround speakers (MusicCast 50 or 20), while TX-RZ830 is supporting the Chromecast technology and the Google Assistant. These models support the multi-room technology, which is easy to control using buttons on the receivers or remote controllers. Both models are built well and customers don’t have any problems with ports. 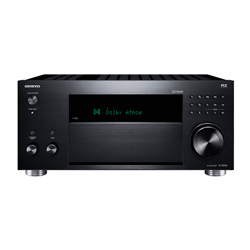 RX-A2080 uses the YPAO technology and Onkyo uses the AccuEQ technology to calibrate and control the output audio. The initial calibration is very precise (both manufacturers provide the required microphone). However, you can always fine-tune the settings using a special application. It is easy to use and customers do not have any issues with it. 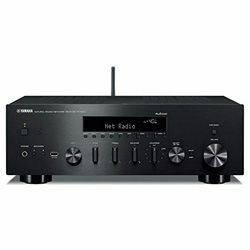 Yamaha AVENTAGE RX-A2080 has two large knobs, a power on/off button. It also has a simple LCD display. You can find more buttons and ports behind the front flap. 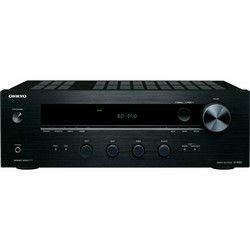 Onkyo TX-RZ830 has one large knob and two small ones, a power on/off button, many small round-shaped buttons and a simple LCD display. Additional buttons are behind the flap. The round-shaped buttons are very small. The receivers are provided with ergonomic remote controllers. The dimensions are 15.7x17.2x8 in for Onkyo TX-RZ830 versus 18.7x17.1x7.6 in for Yamaha AVENTAGE RX-A2080. The weight is 31 and 37.5 pounds respectively. Easy to install and calibrate – the AccuEQ technology is extremely precise. The output sound is balanced properly. The output sound and video quality is stunning – the sound is deep and it is distortion-free. It passes the Amazon Atmos content. Some customers may find the output power not enough in certain cases. It is extremely flexible – you have many options and settings to adjust. The auto-calibration feature is fast and precise – you do not need to tweak anything. High-performance makes this model highly responsive. Some customers find the output sound not clean (you may experience a subtle audio distortion).